After she speaks rudely to Dr. Derek Malcom one time too many, young nurse Kendra Jacoby finds herself in his office at the end of her shift expecting to be fired. But the doctor has other plans, and soon the sassy girl is lying across his lap as her bare bottom is thoroughly spanked. Kendra is burning with desire by the time the punishment is over, and being brought to a humiliating climax over Derek's knee only increases her need for him to take her long and hard. But when a powerful winter storm leaves them snowed in together, what will his plans for the night include? Mia Harrington’s father just lost his brave battle with cancer. Naturally, she’s devastated. With her mother long-since dead, and no siblings, Mia has a great deal of responsibility to shoulder. She’s also the sole beneficiary of her father’s estate. Or so she thinks. Unbeknownst to Mia, her father made a change to his will. She can still inherit, but only if she marries a suitable man within 12 months. If she doesn’t, her vile cousin will get everything. Determined not to lose her beloved childhood home, she resolves to find someone that fits the bill. "Welcome to Conti's. I'm Lia and I'll nguhhhhhhhhhhhhh." I froze. Directly facing me was Olympic swimmer, Jay Morningstar . . . and I just made an idiot of myself. The rest of the table looked up to see me standing there with my mouth practically gaping. His coach, who I recognized from TV interviews, and even two other swimmers from the Olympic team were there. They didn't say anything, they didn't even blink. After months of no love-life to speak of, Ashlyn decides to take a risk that will soon land her deep in the arms of not just one, but two billionaire playboys. 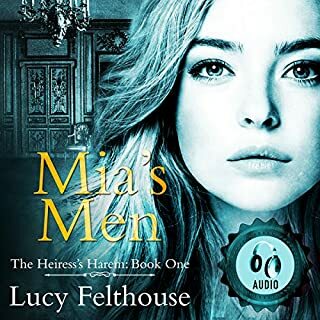 She’s heard cautionary rumors about the two men, but Ashlyn soon learns that she just can’t seem to resist the gorgeous green eyed Karl, and the equally handsome, dark, and driven Micah. In this explosive conclusion to their love triangle, Ashlyn is forced into making a heartbreaking choice between Micah and Karl. Torn by indecision, will Ashlyn’s heart ever survive the fallout? Authors Note: These two books depict sensual situations meant for mature adults. Moved with college sweetheart, dumped and unable to find a job with her degree Ashlyn is lonely and frustrated. Her boss suggests a hook up app and in a moment of weakness she does. This how she meets her first brother...then the second...interested in both as they are in her. Likable characters which always impacts how I like the story..plus some fun..Ashlyn’s boss and boyfriend...not too high angst..again really appreciate that. engaged and no distractions with voices..perfect. I really liked this story. Very hot. I did hope the story would have ended a different way but it worked I’m guessing there will be a sequel. The narrator was relatable but the Mae voice was kind of weak. In the first part the moans sounded pained. They were better in the second part. Tempted by Their Touch is a fairly low drama, love triangle romance. It involves two brothers falling in love with the same woman, but that situation is resolved without any drawn out angst. Due to the short length of the book, the authors weren't able to flesh out the characters with much depth. However, it was an enjoyable story all the same. The brothers were billionaires, but they didn't act entitled or narcissistic in the least, and they treated the heroine (a lower income recent college graduate) with kindness and care. Although the title implies the story is very racy, the steam level was moderate - just the right balance of story and steam. My only criticism is that the book needed better editing. It contained multiple grammatical errors in tense that distracted from the flow of the story. Jade O'Kelley did a good job with the narration. Ashlyn, the heroine, tells the story from first person point of view. O'Kelley portrays her younger age and lack of experience well, lending an almost Cinderella quality to the story. I received this audiobook at my request in exchange for this honest review. Thank you to Charlotte Union for giving me this audiobook in return for an honest review. In Tempted By Their Touch, we meet Ashlyn, a diner worker who comes across rich and handsome Karl on a dating website…soon to find out that he has an equally handsome brother Micah. I really enjoyed this book. 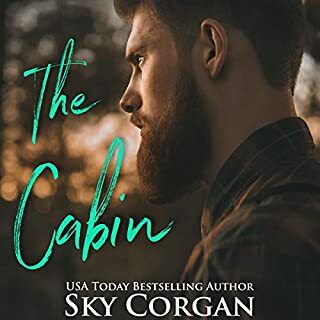 I enjoyed the love triangle that came about and really enjoyed the conclusion, Although I could give or take Ashlyn’s character – Karl and Micah were both very likable with their own little quirks and personalities. Narrator Jade O’Kelly was brilliant. She had a great, distinct voice for each character and kept at a good pace with very engaging tones. I maybe would have wanted these books to be a little longer. I’m glad I had the first and second parts of the book as just the first would have been too short and didn’t really give much of a conclusion. I would really like to see another book in the series maybe although I was very content with the ending of this book.